Play NetBet Online Casino games include hundreds of choices. Whether you like card games or table games, Keno or slots, you’re sure to find the best versions of your favorite online casino games here. Better yet, this casino features games from a variety of different software platforms, providing you with a full-spectrum of gaming options. Don’t miss the Kobushi slot game. This 5-reel, 30-payline video slot will transport you to a Japanese sushi house. The game features cute little anime sushi ninjas. Reel images take inspiration from Japanese cultural icons including cherry blossoms, Koi fish, sashimi, and sushi rolls. The graphics look great, and you’ll love the Asian-inspired soundtrack. Whenever more than one software platform powers a casino, you can expect a larger variety of games and graphics. Check out Net Bet Slot Machines, Casino Jackpots, ,Roulettes, Video Poker, Blackjack, Instant Games, and more! 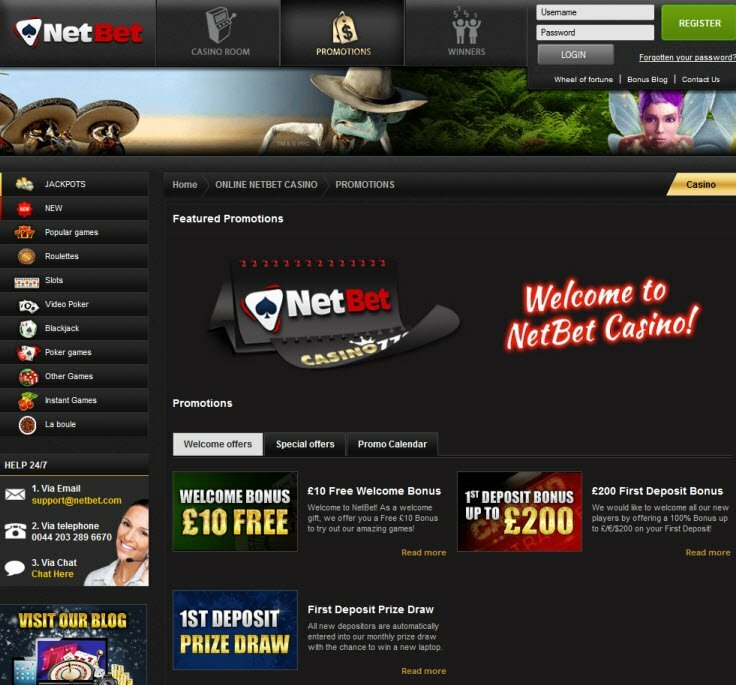 From welcome bonuses to tournaments contests, NetBet Casino bonuses make gambling online more lucrative than ever. Net Bet Casino hosts new bonus events every day that vary from month to month. Check out their Wheel of Fortune Bonus which gives players 5 chances a day to win up to 100 Euros. 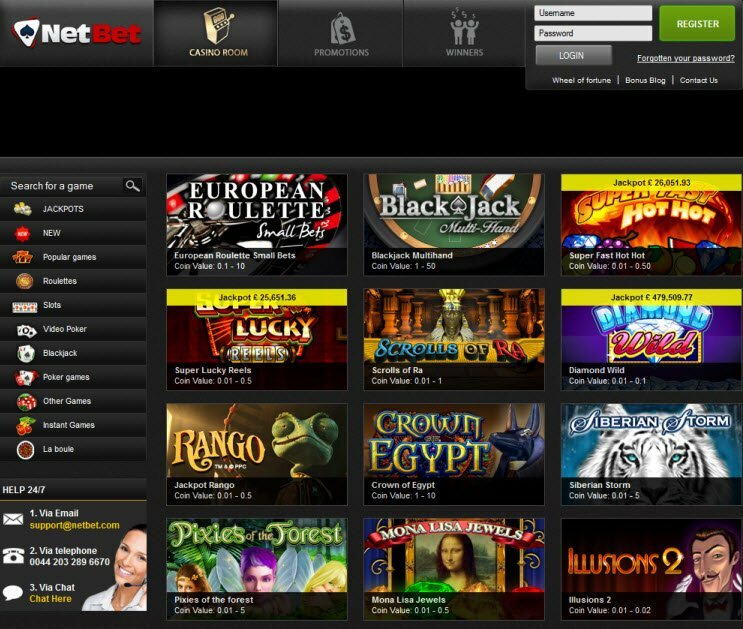 Although some casinos may accept a larger number of options, NetBet.com accepts a handful of payment methods. When making deposits or withdrawing payouts you can choose from a variety of options including credit cards, e-wallets, and online bank transfers. If you need help, NetBet Casino will take care of you. For immediate issues, visit their online live chat support available around the clock. You can also access their worldwide customer support via email, fax, or telephone. Their website also provides a database of information for players to access when necessary. Languages available include English, French, German, Spanish, and Greek. I just placed my bet on the Go Bananas Slot at NetBet, what an awesome game! I would encourage others to play but I’m kinda hoping I win the $100 prize on the 1st of December. ONE OF MY FAVORITES! Mostly when I play an online casino, I go right for the slots. 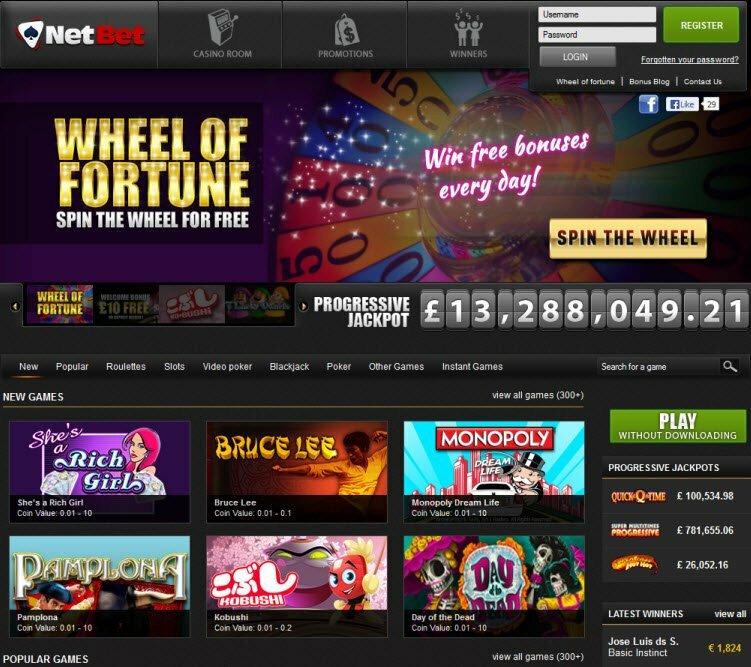 You can find a great choice of games at Netbet. Some of my favorites include Creature from the Blackjack Lagoon, South Park Reel Chaos, and Bruce Lee. You can also find some nice table games, if you’re into that kind of thing. Ive got my creative juices flowing thanks to Netbets current Christmas promo. I have until midnight tonight to send my email with some suggestions of how i would spend the jackpot, if i won. Ive got a few awesome ideas, need to think of a few more and then send them off 🙂 This is a really fun promo! I love the selection of NetEnt and Microgaming games here. I find their promotions great. I’m always satisfied when I play here. This casino offers great promotions. I always feel like rewards are waiting for me every time I play. NetBet offers me everything I could want. I also really like how the site is laid out. I never have a hard time finding exactly what I’m looking for and I’ve also never had a problem with payouts, which has been a problem at a few other casinos were I’ve played. Very satisfied.